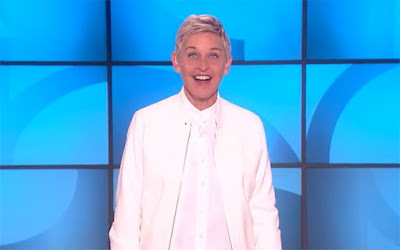 In observing Pride Month, Ellen DeGeneres shared a video montage of her favorite inspiring LGBTQ+ Pride moments on her show. The three-minute video includes Ellen's announcement of her wedding, Laverne Cox's appearance on TIME Magazine and Sam Smith saying he wants to be a spokesman for the LGBTQ community. Also in the highlight reel are transgender military veterans sharing their stories as Donald Trump proposed banning their service as well as touching coming-out stories. Hit the play button below and feel good.